For example, if a company sells knives. Most advertisements on television sell for $19.95 and include extras to sell them and they will tell you that the product is not sold in stores, and the ideal that it is not sold in stores changes the consumer’s perception that they now believe they are getting a special by making the purchase before it is sold in the store. However, what the consumer fails to realize is that any knife is sharp when first purchased, whether it is sold on television or sold in a package on a store rack. In essence, the competitive edge is that the television advertisement makes the view of the knife personal when they say ‘not sold in stores’ or ‘the first so many callers’. So Cutco, took themselves off television and hired people to market for them through demonstrating the product in the customer’s home. Furthermore, the demonstrations have no cold calling attached as with many companies who use a telemarking type ways to advertise their brand. What Cutco does is use a referral system or recommendation, that is, friends, family, friends of friends and so on so that there is a continual flow of customers without the need to impede false promises on the public. Cutco is not sold in stores. In actuality Cutco offers a lifetime guarantee of its product and free knife sharpening as well–forever. [See: The Forever Guarantee]. Reach is the number of different people (or households) exposed to a message at least once. Frequency is the average number of times an individual is exposed to a message. If a company mails out a postcard to inform people of an event, the reach is the number of households who received the postcard. If the company decides to send the postcard out to the same households three more times to remind people of the event, the frequency is four. 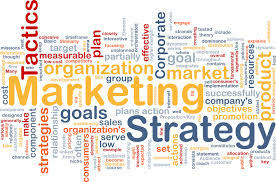 The marketing communications mix is comprised of seven variables: advertising, personal selling, sales promotion, public relations/publicity, direct marketing, electronic and Internet marketing, and branding. (Ogden & Ogden, 2014). In essence, the Cutco Company makes a lasting impression by doing in-home demonstrations educates people about their product as well as gaining friends in the community who love their product and become intimate with it before the purchase, and this is why companies miss out with the barrage of television commercials that set people up to be let down. Essentially, the premise is word of mouth, and not that there are representatives in every city, however, sales reps can never reach as many people as the television can and since that is so the aim is to go as family so that the customers tell their friends what a great deal they got. Anyone interested in a demonstration to see how Cutco can work for you send me an email at kjs0061@yahoo.com with contact information. Not in the area? There are virtual appointments as well. This entry was posted in Community, Employment, Ethical and tagged Business, Marketing. Bookmark the permalink.